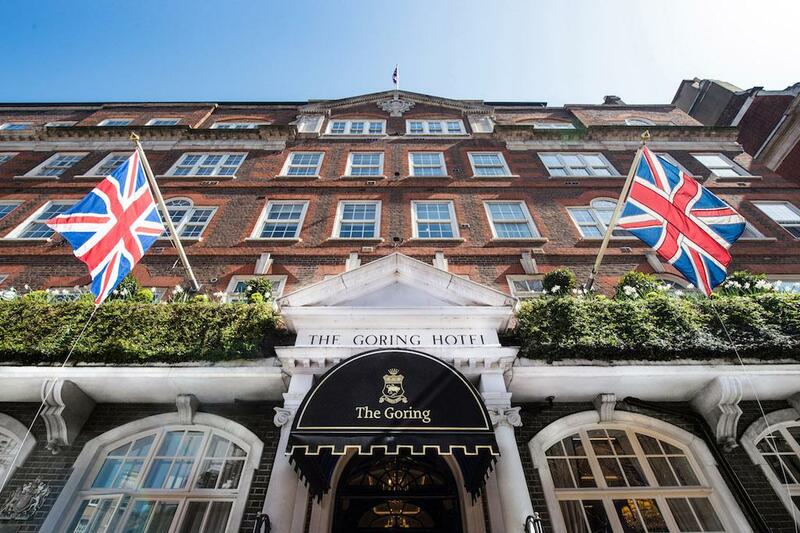 A royal warrant-holding bastion of Britishness, The Goring embraces Bordeaux and Burgundy while holding a flame over the new world and emerging regions. Brittany-born sommelier, Jean-Baptiste Lemoine began at Alain Ducasse, Monaco before rising the ranks at The Goring, an independent, family-run five-star hotel with royal warrant and a pretty lawn extending so near to Buck House that it could be considered another wing of the palace. It is overseen by CEO Jeremy Goring whose dynasty is shown in silhouette on the dining room’s charger plates. However, Lemoine continues to “move slowly” towards the New World, with a recent visit to South Africa’s Hamilton Russell. “Their Chardonnay and Pinot are always fantastic.” Although not an automatic fanatic of Pinotage, he found the version fom Ashbourne, to the east of the estate, “a perfect example of how Pinotage should be.” Meanwhile, at Klein Constantia he savoured winemaker, Matthew Day’s lighter take on Vin de Constance, “and pure, precise Sauvignon Blanc made with the help of Pascal Jolivet.” Expect to encounter listings from Brazil, Canada, Croatia, the Czech Republic, Morocco, Slovenia, Turkey, Uruguay and of course England given this institution is a union jack flag-waver. Dishes may include the evergreen favourite starter of the late Queen Mother, “eggs drumkilbo” (lobster cocktail), or Autumn vegetables with cave aged Cheddar dumplings and chestnut and thyme velouté, then main of saddle of roe deer, salsify, creamed spelt, venison sausage, and Delica pumpkin. “Recently, chef introduced duck with poached rhubarb and I found a simple wine from Bairrada, Portugal which is 100% Baga (Filipa Pato). The wine’s juiciness and light structure is spot-on with the duck.” Finish with warm Eccles cake of soft blue Beauvale cheese and apple vinegar, perhaps with a glass of Madeira. Brittany-born head sommelier, Jean-Baptiste Lemoine began his career in Monaco (Alain Ducasse) before rising through the ranks at The Goring, a particularly characterful five star hotel with a royal warrant and pretty lawn and so close to Buckingham Palace’s gardens that it could be considered another wing. Setting standards of luxury, on opening in 1910, it was the capital’s first hotel to offer both central heating and individual bathrooms serving every bedroom. Dishes by Michelin-starred, Shay Cooper may include, to begin, favourite of habitué, the late Queen Mother, the lobster cocktail, ‘eggs drumkilbo’, or rose veal tartare, smoked anchovy, crispy potatoes, seaweed salt, then Cotswold White chicken, violet artichokes, truffled ratte potatoes, Riesling sabayon, or Dover sole, grilled or pan fried with new potatoes and spinach, followed by black fig trifle, gingerbread, caramel and buttermilk, perhaps with, from the excellent sweet wine selection, Canadian oak aged Inniskilin Ice Wine. Still family owned and run, with friendly and obliging service, the hotel is overseen by CEO Jeremy Goring, part of a dynasty shown in silhouette on charger plates in the dining room, while the larger than life Managing Director, David Morgan-Hewitt has been an ebullient presence in this haven of Belgravia for over a quarter of a century.